EdwardHeisler I have deleted your disgusting "This Is What Trump's Space Force Is For!!!" image...posting completely. Here is some real news on the subject. It's possible that SpaceX doesn't want to be part of this yet or that there will be more photo ops with different rockets. This is just a planned activity, as of right now. 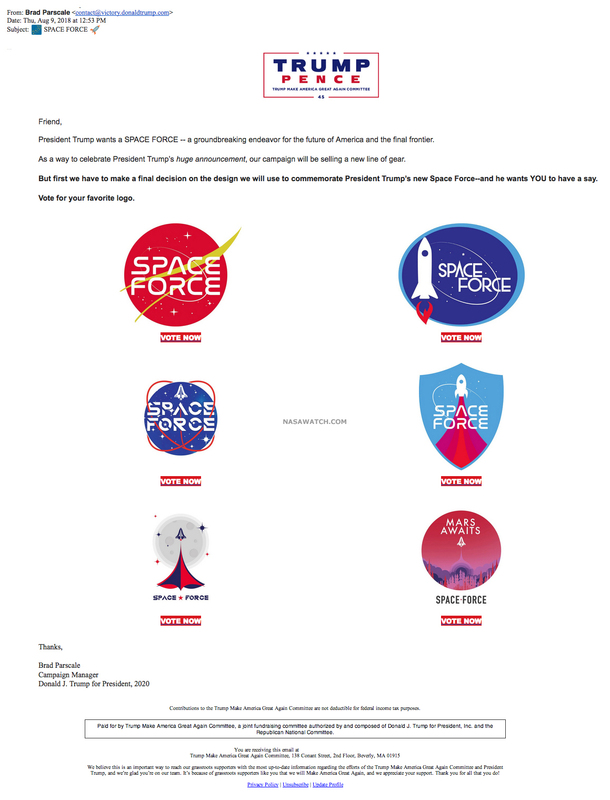 From what I've seen of nuclear weapons security, it'd be nice if this new space force was put in charge of nuclear weapons deployment and security (so the rest of the services can focus on what they do best), anti-ballistic missile technology development (to avoid duplication of effort), and space communications (to avoid duplication of effort). Maybe there will finally be a military capsule program, meaning military space flight crews dedicated to military space flight operations. I would also put with that the satelite watching program so as to protect them from enemy targetting under war time actions. We need to figure out how to use greater numbers of much lower cost, therefore easily replaceable, communications satellites in LEO that deliver the same capability as the handful of larger ones in GEO. Since the satellites get replaced every couple years, the latest and greatest technology would come with them. I think the use of 3D printing, composite structures, thin film solar for power, laser communications (this is what our stealth fighters and bombers are using for stealthy communications, for example), and miniature iodine thrusters should be combined to enable a single Falcon 9 to deploy most of a communications constellation in a single orbit. Anyway, I think the idea has potential to reduce development cycle times and costs and lower the risk associated with deployment. Hopefully there'd be fewer $2B failures like Zuma. Currrent satelites due to policies of non militarization of them means that they can not protect themselves from laser attacks, pieces of sharpnel fired from another all of which seem simple means to disable your satelite while in orbit. GEO does give a bit of protection as only the most advanced nations can get them there. That is a bit of safety for the American units that we have there. If we have hundreds of cube sats flying just above the atmosphere for short durations, then a hostile nation can't easily take down all of them and even if they can, another rocket with another batch of cube sats could render that effort moot in less than a week. It turns out that killing a hypersonic object with a hypersonic missile is a hilariously difficult problem to solve, even though the US / Russia / China have proven it can be done. Rail guns and lasers may change the game a bit, but shrapnel also denies space access to the idiots who put it there, which is why I think only airborne lasers have some chance of working at acceptable cost in the future. Therefore, I'm interested in making communications and GPS satellites in the $10K to $25K range (the cost of a small smart bomb or missile) that are easily replaceable using Falcon 9 and StratoLaunch, along with drastically limiting space junk that floats around for years on end. Intelligence should prioritize locating and destroying enemy laser ASAT weapons at the outset of a military campaign. High power devices are still big enough to still require substantial ground installations, vehicles, or transport aircraft to carry them, but that's rapidly changing. If it costs $200M to send a single $250M+ communications or GPS satellite to GEO for 15 years or more that requires obscenely expensive rad-hard electronics, how much can we bring the cost down with a swarm of less expensive and less capable near-COTS-technology constellation in LEO that we replace for $40M every year so as to incorporate the next generation of tech in every batch. Think of the education and tech development opportunities that represents. We could leverage the SpaceX global internet effort for this, too. The aforementioned is a major part of what SpaceX did to lower the cost of rockets. In the future, I don't think any nation will be able to protect their comms / GPS / spy satellites merely because they're in GEO. The best bet is to overwhelm the enemy with so many targets that shooting them all down is a losing proposition on cost and time. The Chinese could never match the US Navy on capability, so they built thousands of anti-ship cruise missiles to barrage fire at ships that venture close to their coastline instead. That's a cost effective solution to an otherwise intractable problem. Fight smarter, not harder. The use of more advanced technology in asymmetric warfare is the way to win future conflicts. If the enemy has a stronghold on a hill, then you don't attempt a frontal assault on that hill, even if you can throw enough manpower and resources at the problem to win. You go around the hill, cut off their supply line, and starve them to death. Problem solved without firing a shot. In the same way that there's economy of motion, there's also economy of force. Apply the right amount of force to the right location to achieve the desired result. That's it. Trump space force plan is grounded in real needs but hazy into a long-meandering debate over the best way to protect U.S. interests in space, both military and commercial. The Pentagon is expected to have enough details filled out by early next year to include a Space Force plan in its 2020 budget request to Congress. Until then, the idea has taken on a life of its own at Trump's political rallies, powered at least in part by his conflating of the nation's civilian space program with the military's separate role of providing space-based navigation and communications satellites. Some may think it would assemble a razzle-dazzle new army for the heavens that would deploy soldiers in space or arm astronauts with galactic superweapons. Analysts say the reality is that building space muscle is more about reordering the way the Pentagon already uses space than about combat. In fits and starts, the military has been trying for decades to reorganize and accelerate technological advances in space. Some blame the Air Force, which has had the lead, for underinvesting in space because it prefers spending on warplanes. The Air Force has estimated that it might cost $13 billion in the first five years. This will be restructuring, paying for a new standing space force of personnel and not much else as it will take time to build what is desired to control the high ground. 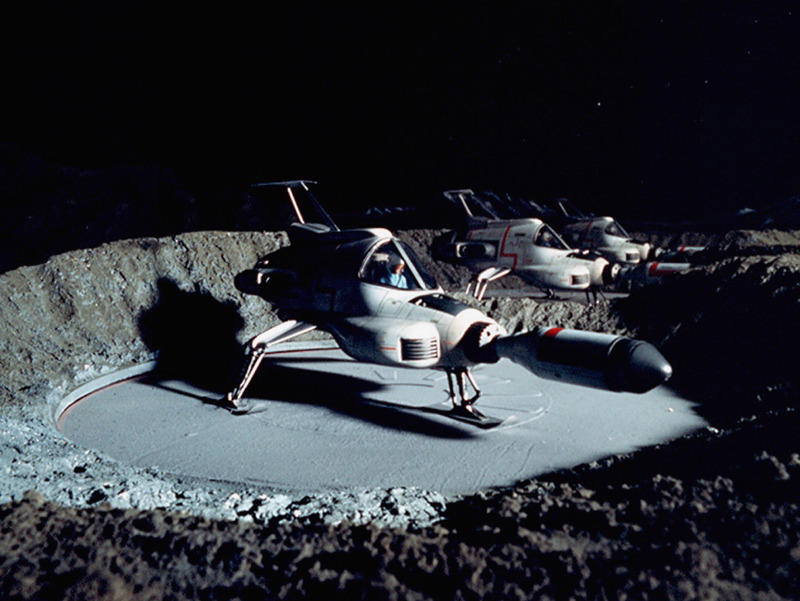 Space Force needs a real Moon base. With interceptors capable of shooting down all those UFOs. And a real cool name, an acronym like Supreme Headquarters Alien Defense Organization: S.H.A.D.O. It was great watching all of UFO in HD on DLP projector. I think this is a behind the scenes attempt to get the current military trusted providers to build for the future. This is the second presidential meeting in as many weeks for executives from Lockheed Martin Corp (LMT.N), Boeing Co (BA.N), Northrop Grumman Corp (NOC.N) and General Dynamics Corp (GD.N) to discuss their supply chains, also referred to as their industrial base. During the roll out of the Defense Industrial Base Review on Oct. 5, executives from the four defense firms were invited to the Oval office for a meeting that turned into a 90 minute discussion with Trump, according to sources familiar with the meeting. The Pentagon-led review ordered by Trump identified hundreds of instances where the U.S. military depends on foreign countries, especially China, for critical materials. The 150-page review included a series of recommendations to strengthen American industry. Mike Pence and other council members described the path forward needed to develop a sixth branch of the military known as the U.S. Space Force. Control is based on military action and use of the high ground. 1. Create a new, unified U.S. Space Command to establish a chain of command for Space Force operations and determine the doctrine, tactics and procedures for space war fighting in the 21st century. 2. Have the Secretary of Defense create a joint space development agency to cut through bureaucracy and make space technology quickly available when the Space Force needs it. 3. Work with the National Security Council to conduct a comprehensive review of the current interagency authorities to make sure war fighters can react flexibly to stop threats to security in space. 4. Direct the creation of a legislative proposal for the Space Force. 5. Address the 2020 budget, which will allow for the Space Force's creation. 6. Strengthen the relationship between the intelligence community and the Space Force. I think that the Trump signs memo establishing US Space Command, a new combatant command but not a military service could be to the benefit og all of earth but we need to use caution to not arm it as it needs to be more of a policing force than one of attack format. Space Command -- which was announced by the administration earlier this year -- will be led by a four-star general and draw on capabilities and personnel from the Air Force, Army, Marine Corps and Navy; which is hoped to begin by 2020. The Air Force has estimated that a Space Force could cost as much as $13 billion over the first five years. 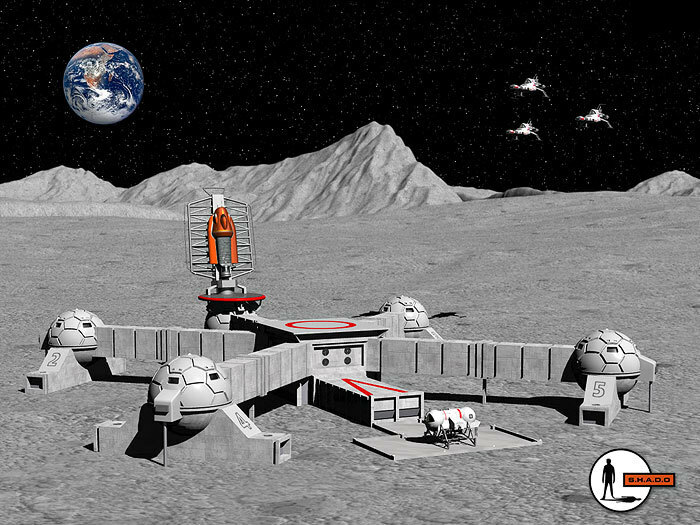 What we'll need in the near future isn't a US Space Command, but an International Space Guard - the equivalent of a Coast Guard for Terran orbit. A force that can make sure spacecraft stay in their assigned orbits, ensure that no weapons are being put up there, and possibly assist crewed spacecraft in trouble. In time, they can extend their authority to monitoring asteroid redirections and making redirections themselves of potential impactors. Space Force proposal creates an independent service under the Department of the Air Force as a 6th Armed Force. Space force only plays out one way: Project Thor, Rods from God. the logical conclusion is an administrative arm of the military that oversees kinetic kill vehicles in LEO that can rubbilize non-nuclear state actors. "Rods from God" doesn't actually work in real life. It's another one of those pesky physics problems that requires a little bit of math. Satellite lasers? Maybe, but the thermal dissipation requirements are pretty severe. Kinetic energy weapons? Unlikely for a variety of reasons. That denies the high ground to virtually everyone. Other more desirable soft and hard kill options exist that don't create debris fields. USAF is moving away from weapons that mandate satellite guidance and towards highly accurate miniaturized inertial weapons that emit no signals to warn the target, can't be jammed unless they're using onboard combination EO/IR/UV/MMW (multi-spectral) guidance systems to attack moving targets, and are very difficult to intercept on account of their diminutive size. The up-side is the ability to accurately target enemy troops and vehicles mere meters from your own forces with very little collateral damage. Some of the new laser systems can reliably kill someone standing right next to one of your soldiers. Weapons that produce significant collateral damage will be limited to employment by high-end stealth strike fighters and bombers like the F-35 and B-21. This contains what might be if they are used https://en.wikipedia.org/wiki/Kinetic_bombardment but the recent Russian tests should both all.. This belongs here due to content of what a command control would want. “We have companies with some great ideas who have advanced to some level or are looking to advance in the future." United Launch Alliance, Blue Origin and Northrop Grumman Innovation Systems. The three companies collectively received $2.3 billion in Air Force funding to make sure their domestically produced commercial rockets can meet national security launch requirements. Sure was a wake up call when shuttle went down an it was the only means to orbit for the military so it stand to reason that they are happy with more than one way up now. Hopefully that will also change for others not the military or nasa for missions to space soon. Really? Then why did they do the reverse? After Shuttle was decommissioned, they had Boeing and Lockheed-Martin, both of whom had received funding from the military to develop Evolved Expendable Launch Vehicles (EELV). Boeing had Delta IV, Lockheed-Martin had Atlas V. They were developed before Shuttle was decommissioned, but after Shuttle they were allowed to combine to form United Launch Alliance. That was a single company providing launch services, a monopoly. They had paid for two companies to develop EELV, but somehow allowed them to form a monopoly. Those are the same two companies that formed a joint venture called United Space Alliance (USA, seriously, their acronym was USA), who had the contract to maintain Shuttle. USA was guilty of gouging American taxpayers for Shuttle, and driving the cost up so high that Shuttle had to be decommissioned. Shuttle was designed for 100 flights per orbiter; it had not achieved that when decommissioned. These same guys joined forces through ULA after Shuttle, and drove up the prices of EELV just as they had done with Shuttle. Do we believe the military now when they say they recognize the value of competition? As much as Trump can write an executive order and his mouth can spread all sorts of not true statements partial or otherwise he can not do this one thing with any of these and that is put the money into the deal. That is an autority that congress House and Senate hold in order for it to get signed into law. The New Glenn will be a new rocket to replace the Atlas V with ULA just holding the common prouct that remains from the monopoly once that rocket takes flight. There are quite a number of other launchers for small to medium lifts but not much once you get about the 50 mT mark. Of course other Nations are looking at this as wll for the controlling rights to the outer Space control. Several member states are considering just now ways to strengthen their defence doctrine to space dimension. "We need to discuss, medium [to] long term, a European Space Force", the commissioner Bienkowska said. The Russian Foreign Ministry noted that new Pentagon's strategy actually paved way for the deployment of missile defence weapons in space. The ministry added that the implementation of these plans would inevitably lead to the beginning of a space arms race and would have the most negative consequences for international security and stability. Senate committee recognizes importance of space while offering divergent views on Space Force as a new, sixth branch of military is the best approach for achieving that goal. Indeed, questions about the Space Force's form and function and whether it provides crucial new capabilities or duplicates existing ones dominated the two-and-a-half-hour long hearing. Those same questions are likely to dominate debate in coming months as Congress considers the issue. "We must not wait until we experience conflict in space to adapt our posture,"
"Everyone loses if war extent expands into space,"
So why is this not a continuation of the ISS partners as a UN space force rather than the US as while there is a degree that it might be needed to protect our interests its also a fine line to being the battle field to space. Why don't you channel your burning hatred for someone you've never met into something mildly useful? You could run for President, for example. I've spent my entire life waiting to vote for a retired truck driver with sympathies for Chinese communists.